The classic Queen of Hearts design sits elegantly on this Bone China Mug boxed with a traditional playing card aesthetic. 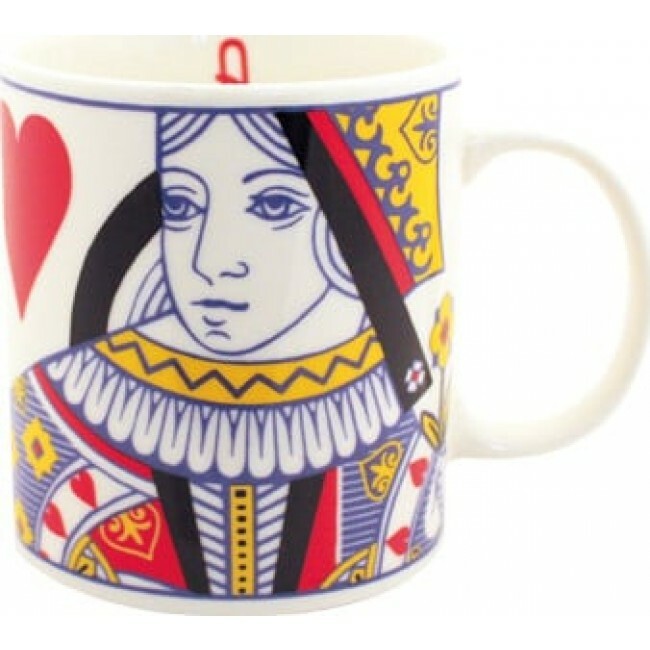 The classic Queen of Hearts design sits elegantly on this Bone China Mug boxed with a traditional playing card aesthetic. Dishwasher and microwave safe.